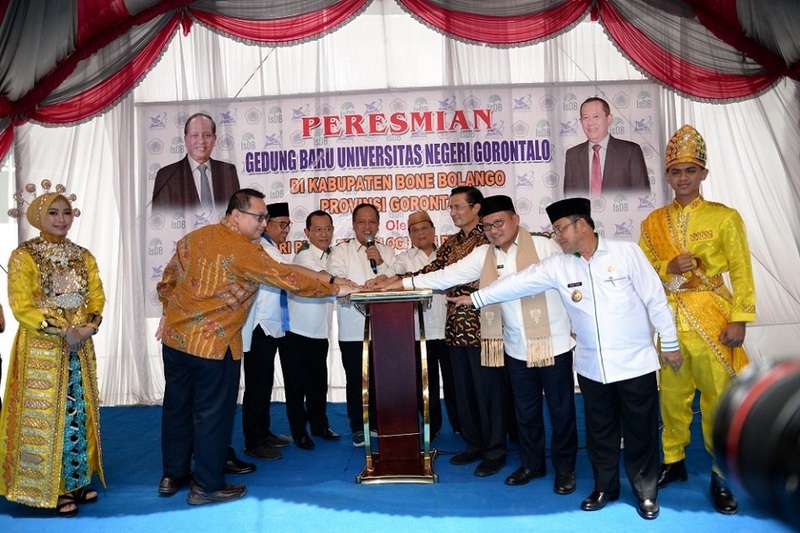 Gorontalo – In 2018 was became the time when Universitas Negeri Gorontalo reached various achievement, one of the achievement that successful is Accreditation. 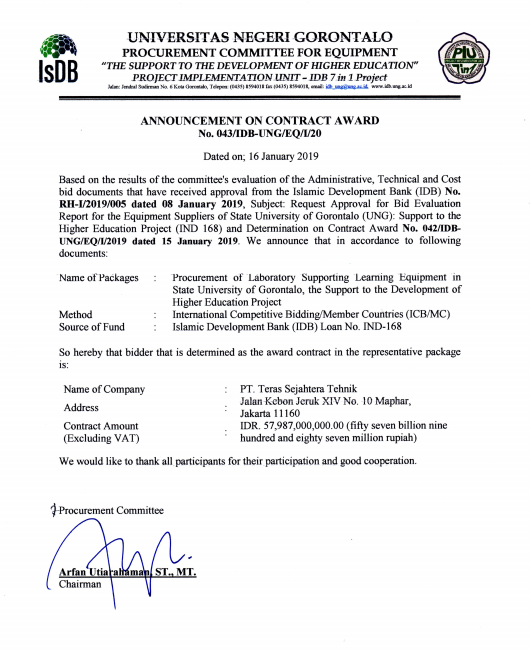 The accreditation was successful with no doubt ; program study accreditation and institute Accreditation. On program study accreditation, Total of A accreditation were reached 9 program study, although the rest of all were reached B accreditation. Furthermore, the precious achievement is reached by institute which was B accreditation and now become A accreditation. 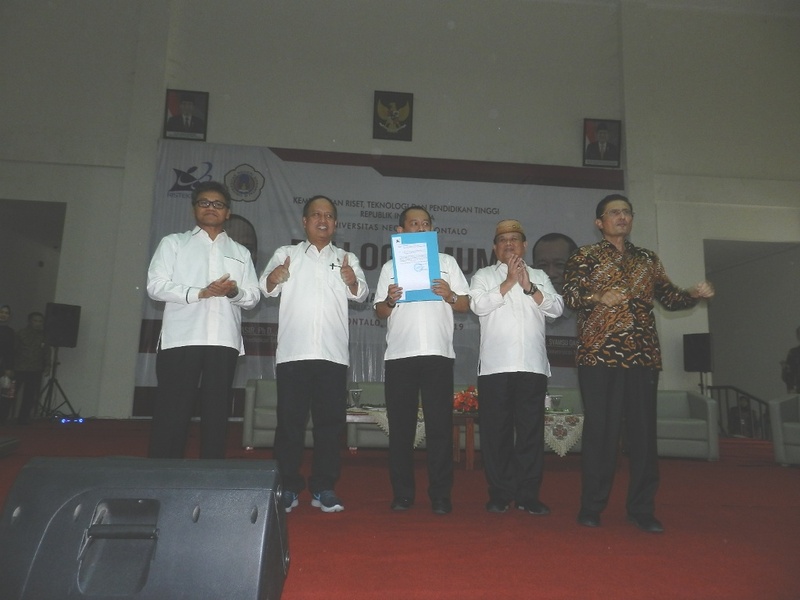 According to rector UNG Prof. Dr. Syamsu Qamar Badu, M.pd, 2018 was full of hardworing from all the things about civitas academica UNG, which means that year was the year of successful for UNG accreditation. The rector states that the successful of institute accreditation marked as achievement of program study accreditation either which is create a raising significant level, moreover there is no more C accreditation in every program study of UNG. 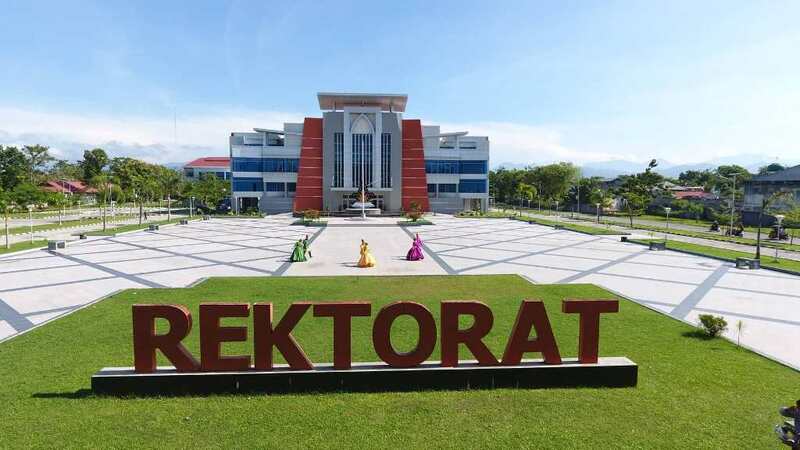 The valuable achievement is perfectly reached by institute accreditation that noted A for the first time. The various achievement in 2018, especially in accreditation was became a valuable experience for UNG. It because the procces of raising the success come true, we got hardworking to achive the best result.